Seeking a certified GE appliance repair Wayne pro? Look no further and turn to our company! Without any doubt, GE is a name you can trust. Due to their quality and durability, these appliances can be found in countless homes in Wayne, New Jersey. 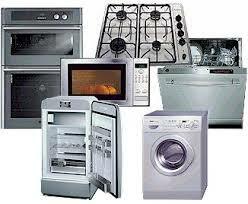 However, it doesn’t mean you won’t face the need of General Electric appliance repair sooner or later. But put panic aside! If you have noticed something unusual, don’t lose a minute and call us. Available in and around the region, we are at the ready to send a skilled GE technician of Wayne over to your place on that very day. By choosing us, you will be able to start using your unit safely once again in next to no time! Where it comes to top-class GE appliance repairs in Wayne, you cannot go wrong with our company. We realize that you’ve invested much to purchase these appliances. When one of them lets you down all of a sudden, it can be more than just an inconvenience. With this in mind, we strive to arrange same day General Electric home appliance repairs with some of the most trusted pros in the area. All techs we dispatch are authorized to work on all existing products of this brand. Whether you own a regular or high-end model, you can expect the Wayne GE appliance service pro to get it back on track with the utmost precision. As each expert has access to a large stock of original parts, it often takes one visit to tackle any GE appliance repair you may require. Appliance Repair Wayne is here to make your life easier by keeping your GE units in top shape for all seasons. That is why we only appoint techs that have the expertise to handle a wide range of services. From routine fridge tune-up to a brand new washer installation, they can perform all sorts of GE home appliance repairs and other jobs with no hassle. 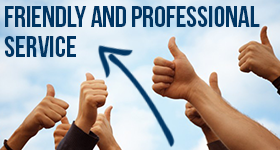 So if you want to entrust your equipment to the right people, make a smart choice and reach out to our company. Just dial our number and experience a trouble-free GE appliance repair in Wayne you need and deserve!